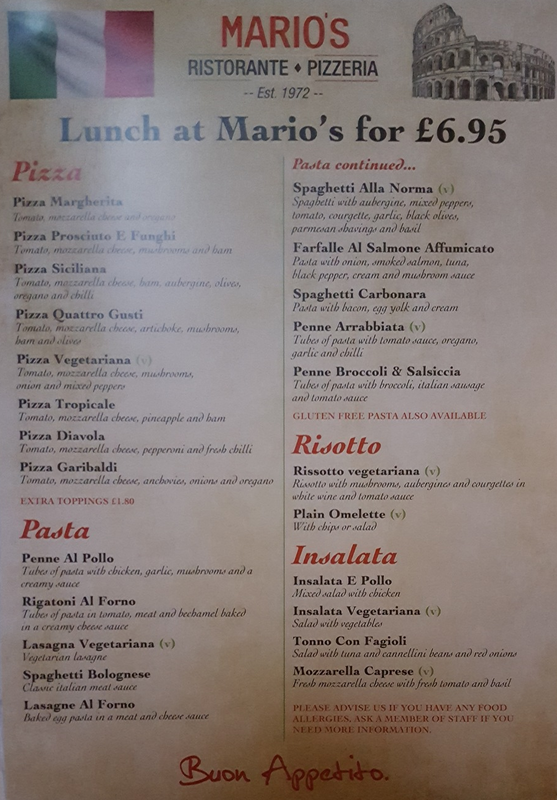 Enjoy a delicious lunch at Mario's Swindon with a selection of pizzas, pasta, risotto and more to choose from! View the £6.95 lunch menu here! Stop by and say Ciao, call 01793 531556 or email mariosrestaurant@hotmail.co.uk to make a table reservation.